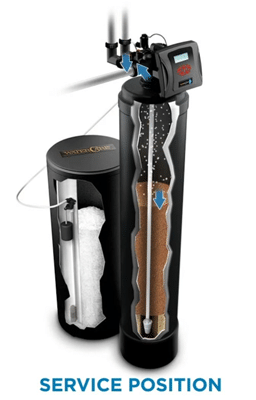 The Water Care RC product has been excellent as it softens and removes the chlorine from the water. We put one in two months ago and my family loves the soft water . Our dishes come out sparkling clean, we use less soap for household cleaning and washing clothes, and the chlorine taste and smell have been eliminated. Leave a review for CareSoft Pro RC! The CareSoft Pro RC® is an environmentally friendly solution for city water issues. 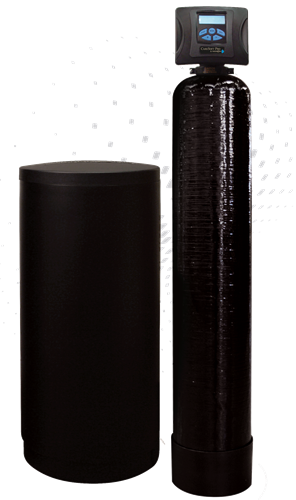 Its split tank design combines activated carbon with a high-capacity resin to remove chlorine, eliminate unwanted elements, and soften water. Our smart water softening system was designed to deliver double the efficiency, assuring your family the pure water they deserve! 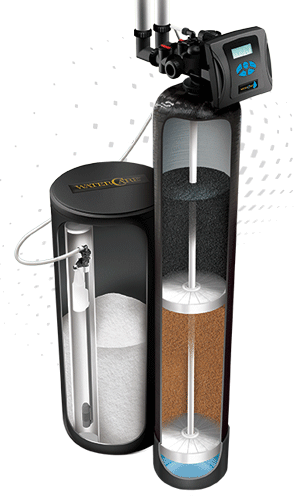 With a special split tank design, the CareSoft Pro RC® provides double the efficiency, effectively combining the power of a treatment system into a single tank. The highly efficient CareSoft Pro RC® system reduces the operating and maintenance costs of appliances. Also, with its advanced programming controller, you can customize its softening capabilities to perfectly suit your family's needs.